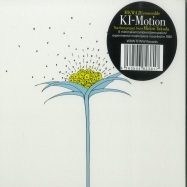 wrwtfww records is over the moon to announce the official reissue of legendary album ki-motion by japanese percussionist midori takadas mkwaju ensemble, sourced from the original masters and available in two versions: a vinyl lp cut at emil berliner studios and housed in 350g old stoughton tip-on sleeve, and a digipak cd. 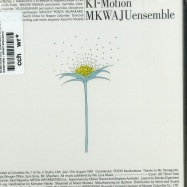 a highly creative and transcendental fusion of marimba, vibraphone, bamboo percussion and synthesizers, ki-motion was recorded in 1981 and captures the birth of midori takadas exploration of minimalism, african rhythmic tradition, and ambient music. 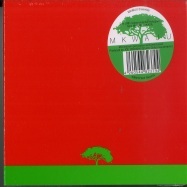 the album takes its conceptual inspiration from the tamarind ( ‘mkwaju’ in swahili), a drought resistant tree notably used to craft some of the first mallets and marimbas but also known for its culinary and medical uses, an essential symbol of life and identity for the central african grasslands. 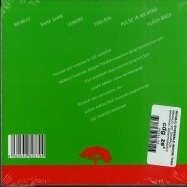 drawing from the regions culture and music as well as the crucial notion that rhythms represent the very fabric of life, midori takada leads her ensemble into environmental heaven to create one of the highlights of her recording career and an absolute must-have from the golden age of japanese ambient the ideal companion to her majestic through the looking glass opus!